Saloca in Wonderland: Organic Lip Service – Organic, hand-made lip balms for summer. 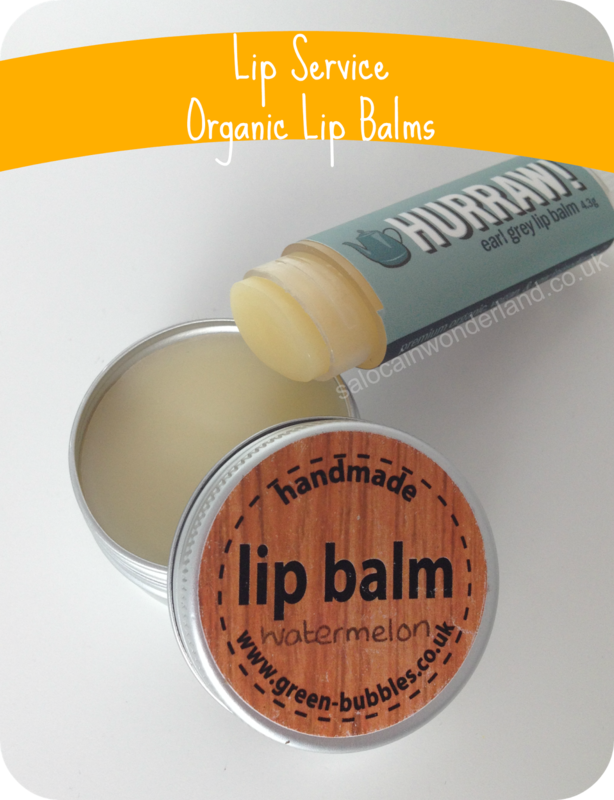 Organic Lip Service – Organic, hand-made lip balms for summer. 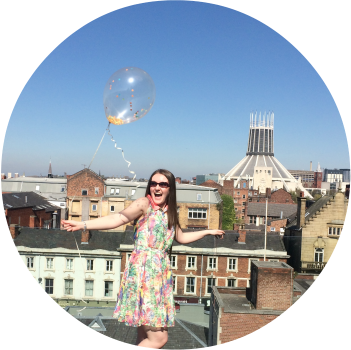 I’ve always been a lip balm kind of girl, it’s quick, it’s easy, and who doesn’t love a set of moisturised smackers? I’ve worked my was through various brands over the years; Vaseline, Nivea, Carmex, you name it, I’ve probably puckered up with a layer or two at some point! This year however, I’ve been tip toeing into chemical free beauty and skin care, making a tentative attempt at going organic where possible in my life! Lip balms, it seems, are the easiest place to start! Green Bubbles was introduced to me at the NorthWest Bloggers meet in early June. They offered a wonderful selection of handmade beauty and skin care, from green tea infused scrubs to hand made after sun bars and Lego shaped vanilla soaps. Everything was so cute, hand made, organic and smelt divine. They even had bubble wands! I was like a kid in a beauty sweet shop and I couldn’t hand over my money fast enough. I opted for a simple Lip Service set, as I still had body and hair products back home I needed to work through before I could buy more! Lip balms, however, you can never have too many of! I picked out the lip balms tinted cherry and spiced berry, then found a third watermelon in my goodie bag! All the lip balms have pretty much the same, pronounceable, ingredients, so there’s no harsh chemicals here. 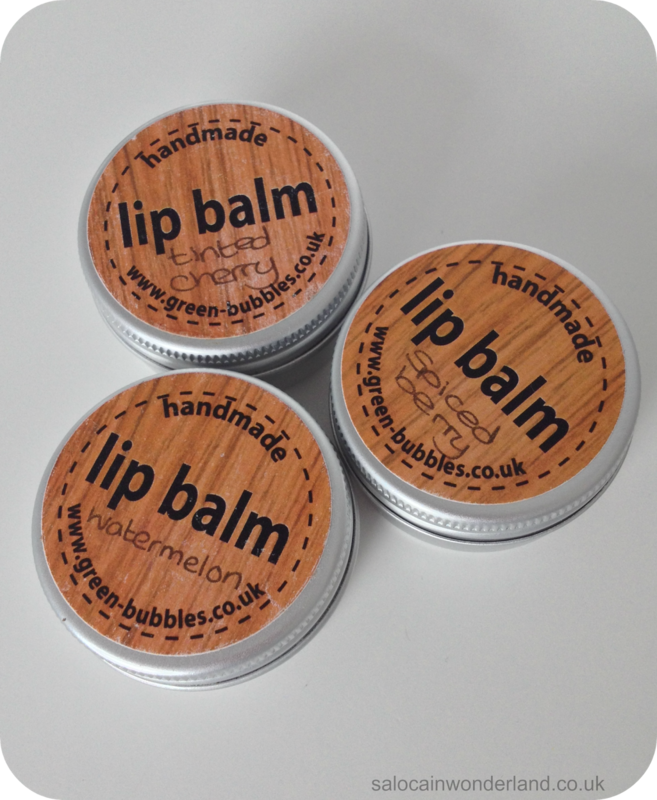 Olive oil, beeswax and shea butter make up the basic lip balm which is super moisturising and nourishing on the lips. And they all smell amazing too. Spiced berry reminds me of Christmas, were as watermelon is summer through and through! Tinted cherry smells like a bakewell tart – delicious! I find these lip balms to be very matte on the lips, great if you don’t like that greasier feeling you get from the likes of Vaseline. I always keep one in my bag and top up throughout the day. And yes, I keep trout pouting to smell my lips – strange looks a plenty haha! They retail for £1.50 a balm. Maybe this is me taking my love for tea a little too far but I am head over heals in love with this organic lip balm made from premium raw and vegan ingredients. I had no idea what to expect, or if raw, vegan lip products existed but they do – and this one in particular is amazing! Hurraw comes in all kinds of wonderful flavours, including coffee bean and green tea (that’s the one I’ve got my eye on!) and they’re in the cutest slim line packaging, perfect if you’re only taking a small wristlet or clutch out and about for the day. I’ve even discovered they do a SPF15 lip balm and a bed time lip balm made with soothing chamomile. 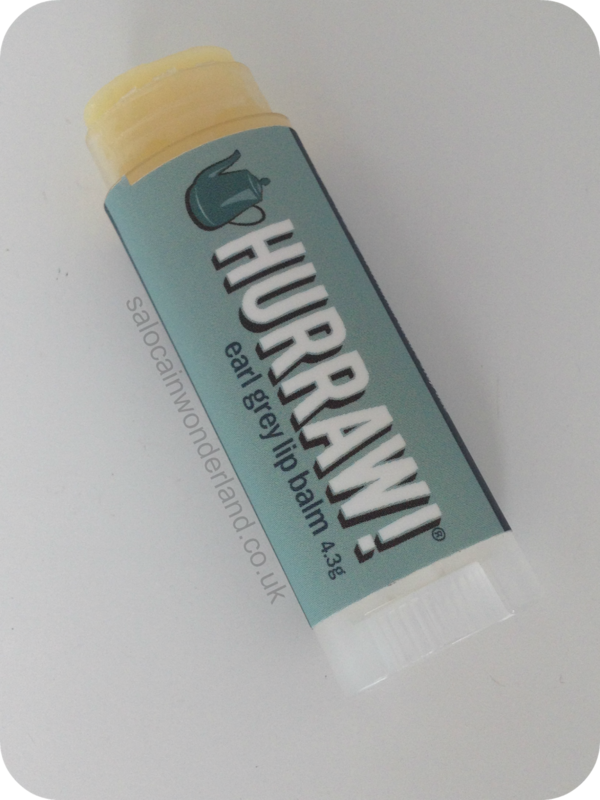 The Hurraw balms are so creamy in texture and really helps to sooth weather beaten lips. Though USA based, there are a number of UK retailers selling them from £3.99. If you’re looking a simple way to introduce organic products into your daily skin care routine but don’t know where to start, try lip balms! I rarely reach for any of my drug store brands these days since these little handmade lovelies came into my beauty routine! Is there anything in your skin care routine that’s organic that you can recommend I try? Let me know in the comments below! Thanks! I'll be sure to check yours out! The spiced Berry one makes me think of Christmas Eve! Strange for summer haha! I love The Body Shop and Lush for organic and cruelty free products! I've found some great gems being created and sold by small local businesses that tick these boxes too! I've been loving some burts bees lip products I got from Florida lately. I'm not a fan of ones I have to apply with my finger. GIVE ME THE STICK! Stick balm is so much better when you're on the go! Oh I LOVE Burts Bees, and I pretty much only buy it when I'm out in the states as it's so much cheaper! I really want to try out some of the other flavours and the SPF lip balm! It's amazing!